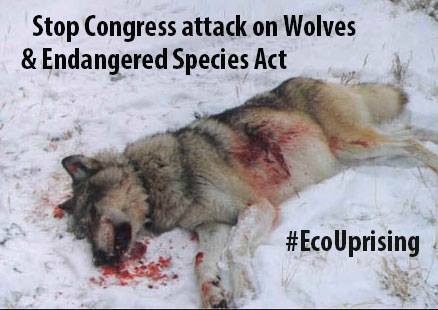 EcoUprising: TWEET SHEET: Stop Senate's Plan to Delist Wolves Permanently! TWEET SHEET: Stop Senate's Plan to Delist Wolves Permanently! Please join our Facebook Group to continue the environmental resistance! All done and added "r/t" (re-tweet) where I could on each one. Thank you for doing this. Stay away from the wolves! Or I'll bite you on the BUTTOCKS! 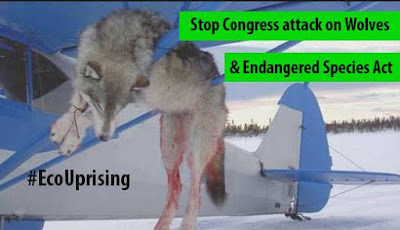 Leave the Wolves Alone!!!! Stop the killing!!! Haunt the poachers instead. Wildlife should be protected!!! Stop killing these beautiful creatures all wildlife should be protected. Punish the hunters. Poachers and trappers instead. And leave the wildlife alone! This act was placed to protect and preserve them . Not harm them. Thank you for sharing this,,Lets Speak loud! Please everyone go to senator Baldwin's, Tester's and other Democrats Facebook pages. Tell then I am a democrat. I contribute to the DNC. I helped elect you but make no mistake I will work to oust you in the next election by tweeting, face booking and not contributing. I will insist the DNC find a batter more wildlife friendly candidate. 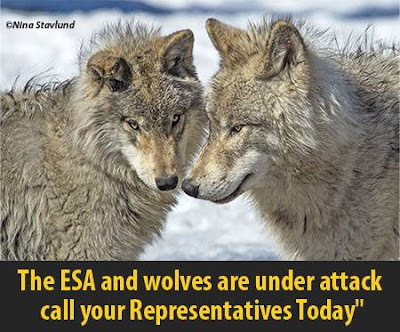 I will make my voice heard if you work to delist wolves. You work for me, not for special interests. In this time at this moment this is the most egregious, misdirected piece of anti environmental anti wildlife legislation either party could envision. 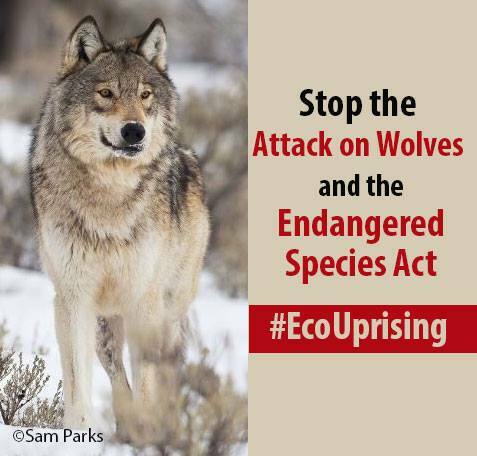 Wolves face immediate slaughter once delisted under state plans that were rejected by scientists and the 9th circuit federal court. I might expect this from the GOP now but for democrats this is unconscionable as is the no judicial review clause. This act was placed to protect and preserve them . Not harm them. CALL TO ACTION: Stop Trump's Polluter Cabinet!